15 Creative USB Drives and Unique USB Drive Designs - Part 2. Collection of 'Creative USB Drives and Unique USB Drive Designs' from all over the world. 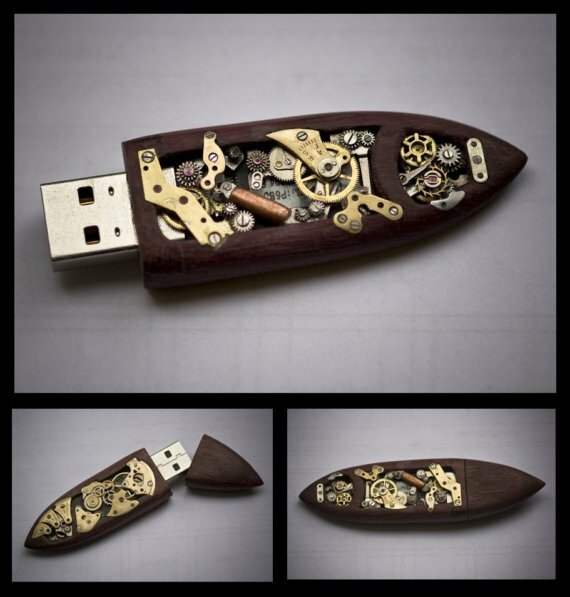 Mechanical USB Drive: Handmade from used parts from around 6 different pocket watches, this 16GB USB drive glows green from underneath the gears. 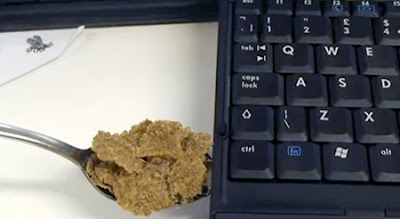 Cereal USB Drive: A cool drive made from branflakes cereal and a silverspoon. 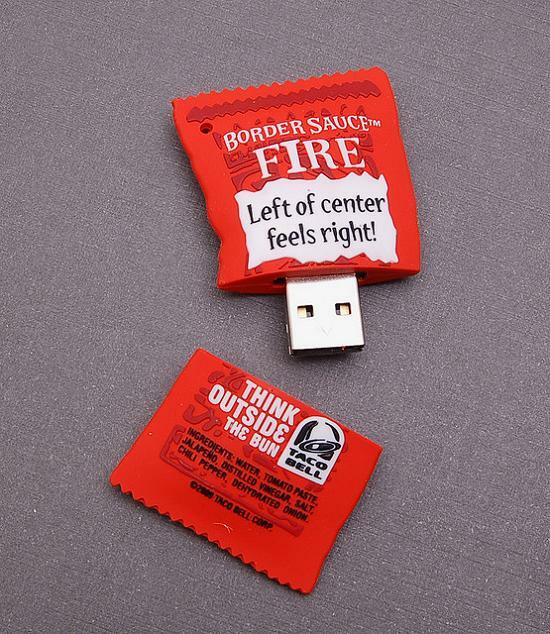 Taco Bell Border Sauce USB Drive: This one takes its inspiration from Taco Bell Border Sauce packets. 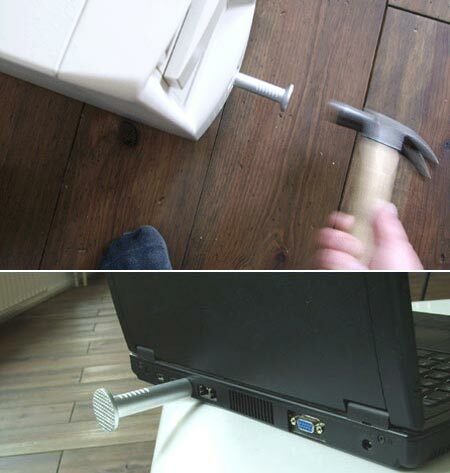 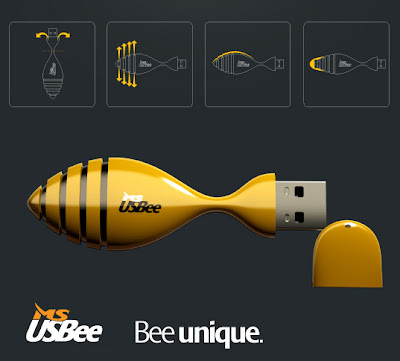 USB Nail: It's a 2GB drive that comes in the shape of an oversized nail. 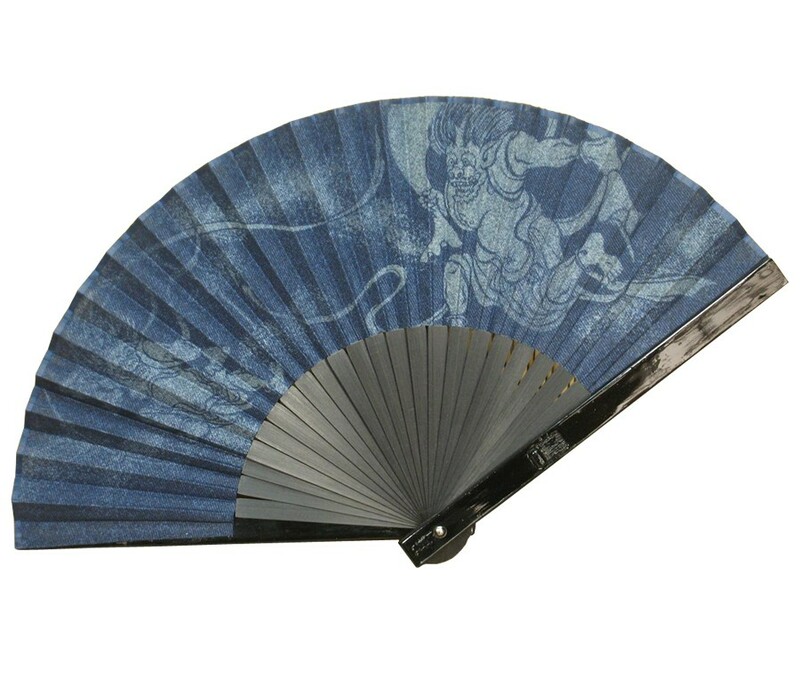 Japanese Sensu USB: The fan is handmade from bamboo, wood, and cotton, while the USB is hidden on the top of it. 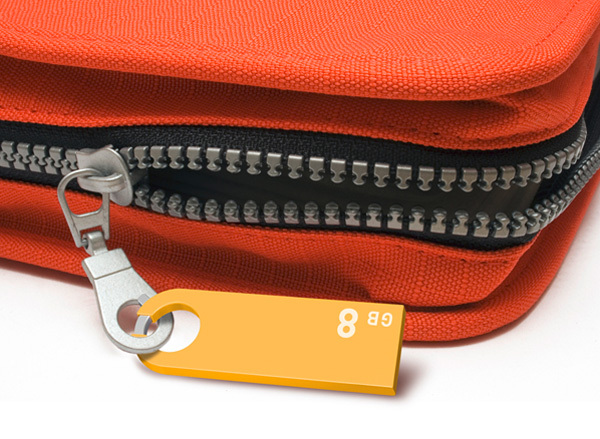 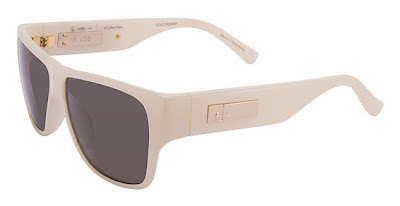 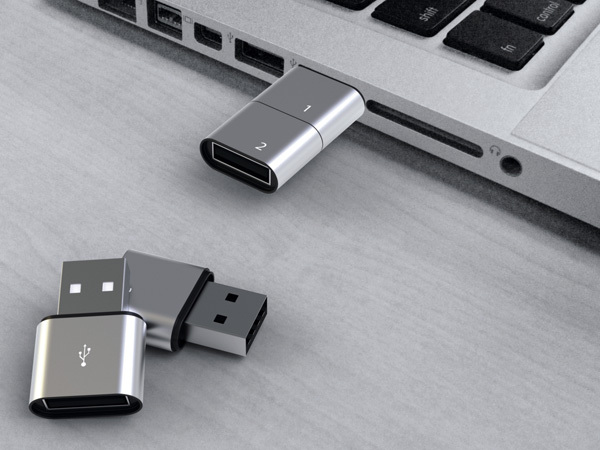 LOOPO: It comes with a simple clasp that makes it easy to USB stick to almost anything. 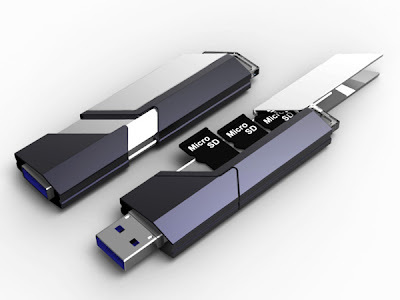 Collector USB Drive: This USB Stick concept accommodates small capacity memory cards. 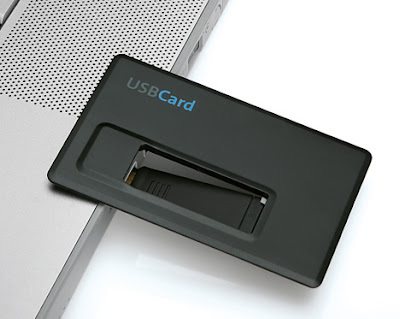 Credit Card Size USB Card: Designed for business people, it comes in a credit card format, and can be placed comfortably into the wallet. 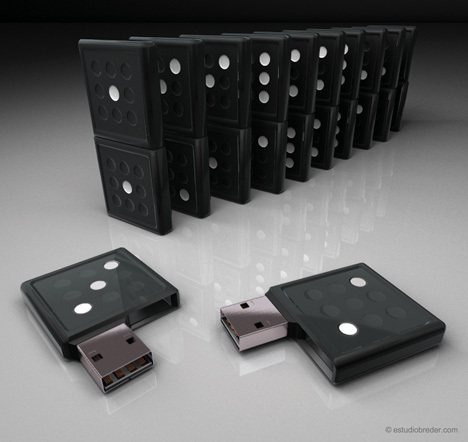 Domino USB Drive: Each white dot on this drives represents 1 gig of memory used. USBee: It comes with a vented housing for cooling and a removable cover. Ritek Yego USB Drive: The Ritek Yego USB Drive comes with two additional USB ports. 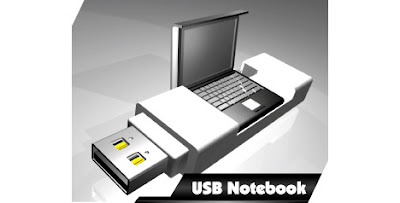 USB Notebook: Just connect this USB notebook to any other laptop, and it creates a similar working scenario like your own laptop. Don't miss to check out "Creative USB Drives and Unique USB Drive Designs - Part: 1| 2." 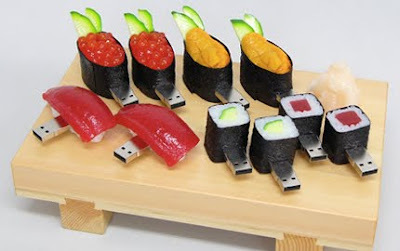 15 Creative Earrings and Cool Earring Designs - Part 3. 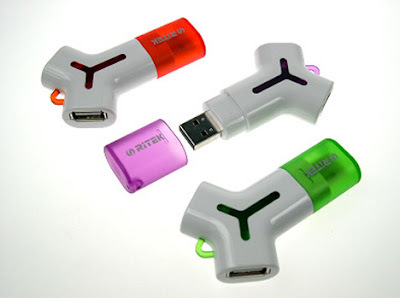 15 Cool Kitchen Gadgets and Useful Kitchen Tools - Part 14. 15 Cool Clothes Hangers and Modern Coat Hangers - Part 3.